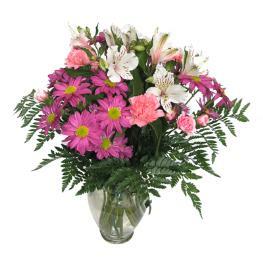 When you want your message to arrive in style, go with this fashionable, pastel bouquet! 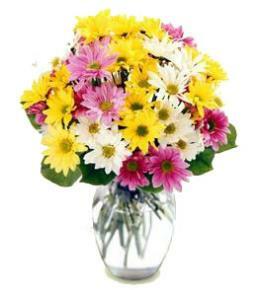 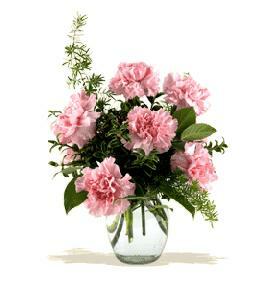 Full and fragrant, it gathers soft pink roses with white lilies, alstroemeria and mums into a good glass vase. 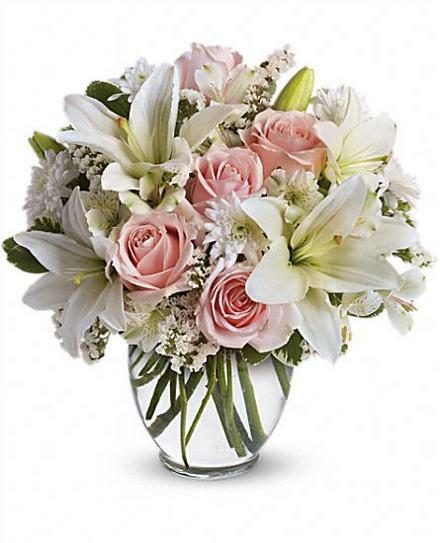 White Flowers In Style with Vase. 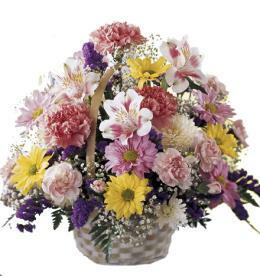 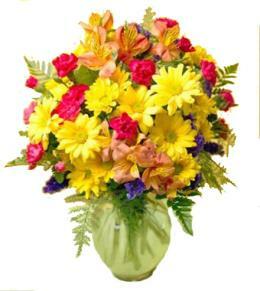 Florist Notes: Add a large card and your message will be hand written . 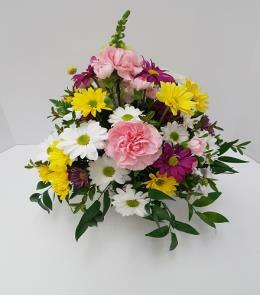 Arrangement Details: Add a teddy bear and a box of chocolates if appropriate.